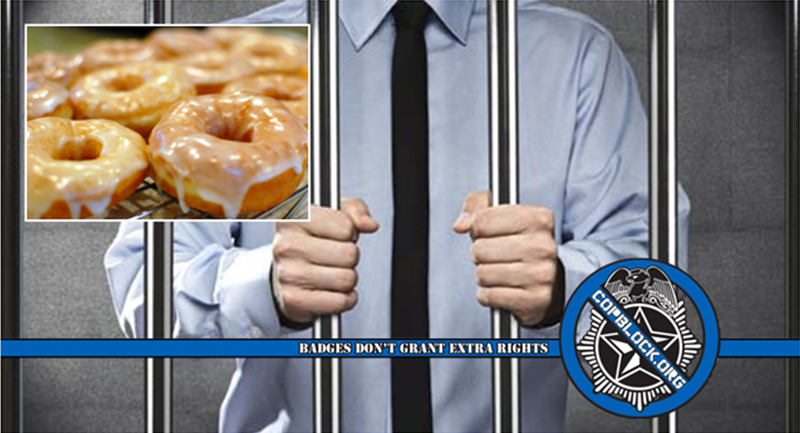 A Florida man is weighing legal action after he said he found himself behind bars when overzealous cops mistook the glaze from a donut as methamphetamine. Daniel Rushing, 64, was pulled over at Robinson Street and Parramore Avenue by officers with the Orlando Police Department for speeding and not coming to a complete stop when exiting a parking lot on December 11, 2015, according to the arrest report. During the stop, he told the cops that he had a concealed weapon and agreed to a vehicle search before a “rock like substance” was found on the floor board by his feet and elsewhere in the car. This isn’t the first time that filed tests have mistakenly placed an innocent person in jail. Earlier this month, Pennsylvania taxpayers had to pay a Brooklyn, New York man $195,000 after he was wrongly jailed for 29 days because a roadside drug test misidentified homemade soap as cocaine. According to an extensive ProPublica investigation, 100,000 people across the country plead guilty each year to drug possession charges that are based solely on unreliable field tests that have changed little since the 1970s. The investigation revealed that “even the most modest of error rates could produce thousands of wrongful convictions,” especially when considering that the tests can produce false positives for a variety of reasons. The field tests seem simple, but a lot can go wrong. Some tests… use a single tube of a chemical called cobalt thiocyanate, which turns blue when it is exposed to cocaine. But cobalt thiocyanate also turns blue when it is exposed to more than 80 other compounds, including methadone, certain acne medications and several common household cleaners. Other tests use three tubes, which the officer can break in a specific order to rule out everything but the drug in question — but if the officer breaks the tubes in the wrong order, that, too, can invalidate the results. The environment can also present problems. Cold weather slows the color development; heat speeds it up, or sometimes prevents a color reaction from taking place at all. Poor lighting on the street — flashing police lights, sun glare, street lamps — often prevents officers from making the fine distinctions that could make the difference between an arrest and a release. Following the arrest, Rushing was booked into jail on a charge of possession of methamphetamine with a firearm. He said he was locked up for about 10 hours before being released on $2,500 bond. According to the Florida Department of Law Enforcement, an Orlando crime lab analyst found that the substance submitted as evidence was confirmed to not be an illegal substance. As a result, the State Attorney’s Office dropped the case. Rushing, a retired Orlando parks department employee, has hired a lawyer and is asking the city to pay him damages in an amount that he has not yet determined. His attorney says a lawsuit is expected to be filed some time next month.